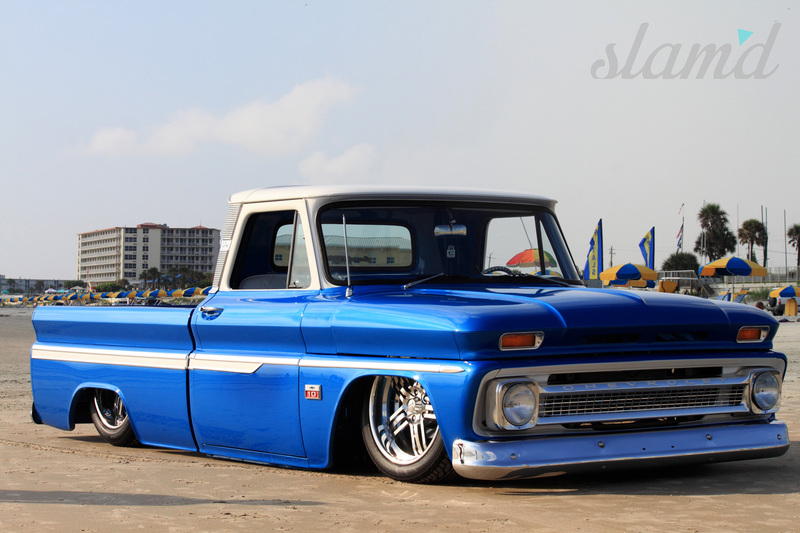 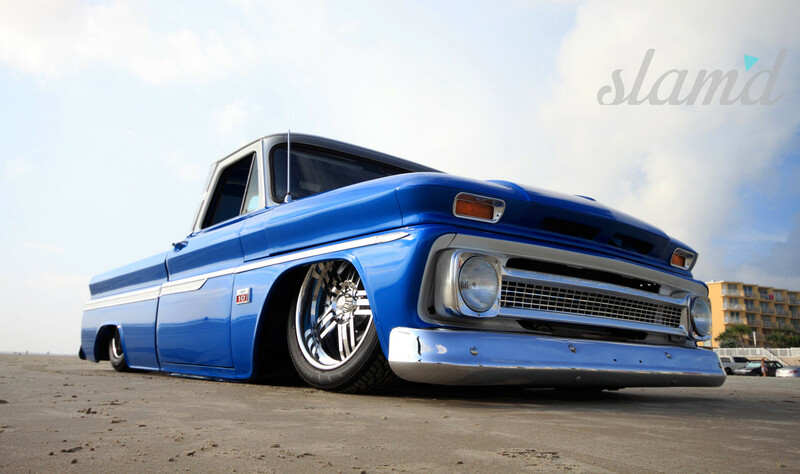 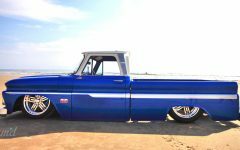 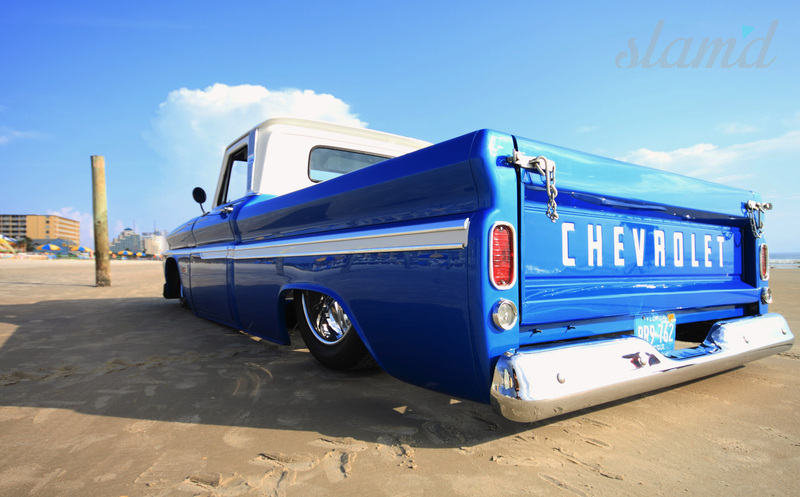 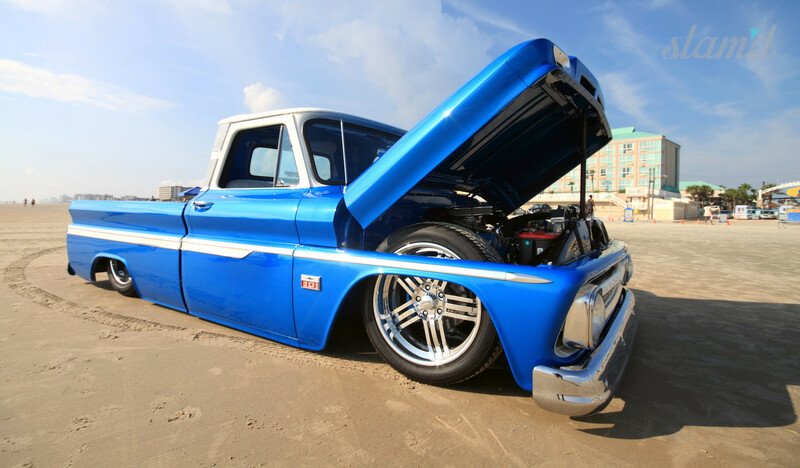 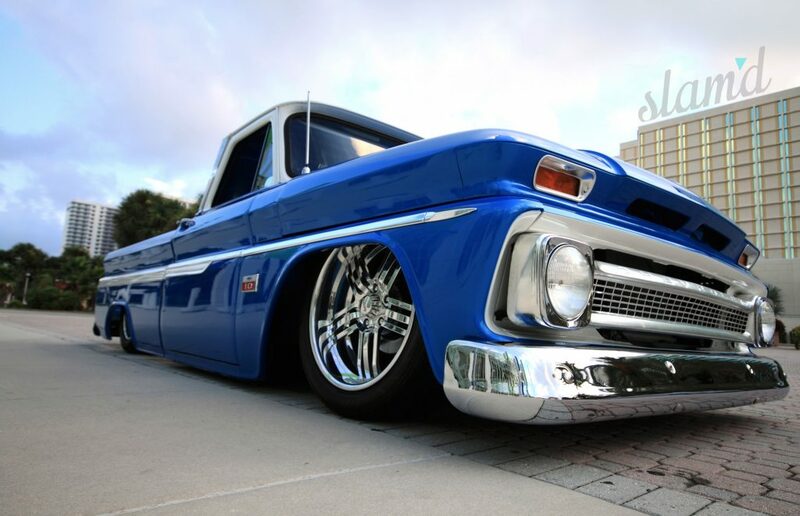 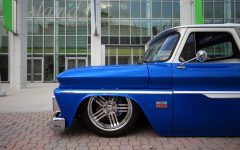 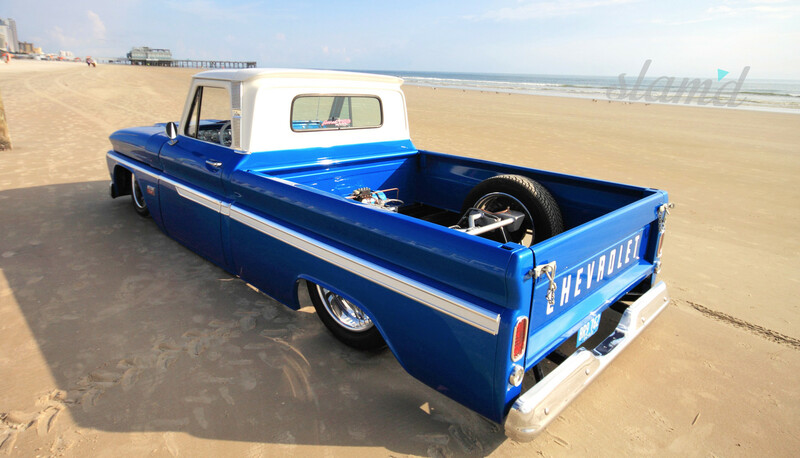 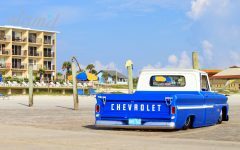 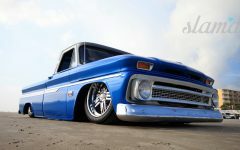 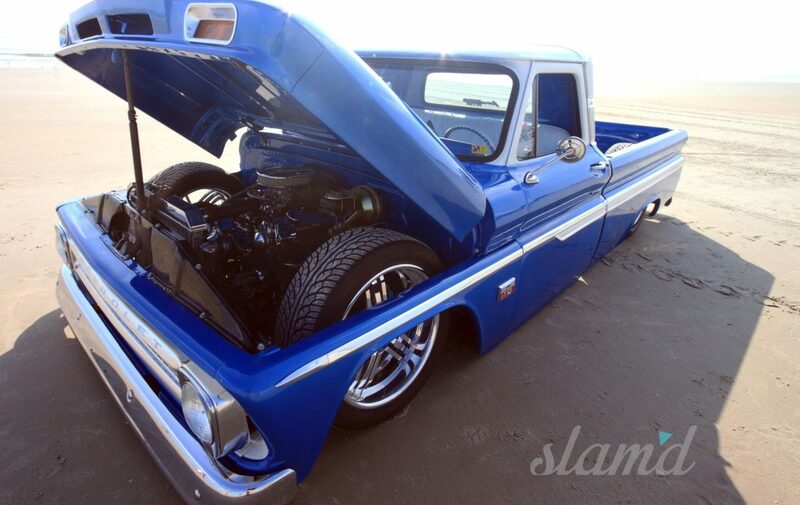 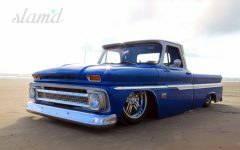 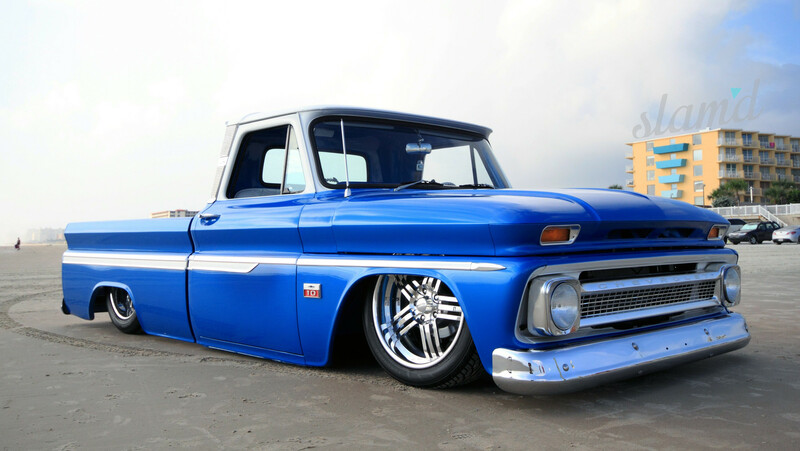 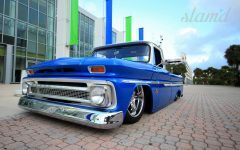 Over the last few years, the Chevy C-10 has become increasingly popular as a platform for customs. 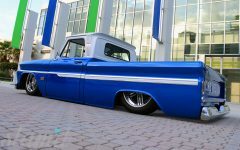 This elegant and classic design is currently making waves across the truck scene and we’ve been privileged enough to see many beautiful examples (especially at this year’s SEMA Show). The Chevy C-10 has the ability to achieve the quintessential Slam’d look – as they have a directly proportional, frame-to-jaw drop ratio – making them ideal for the daily cruiser or shop truck style build. 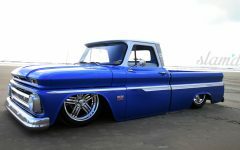 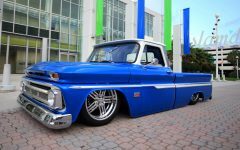 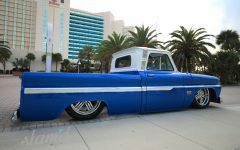 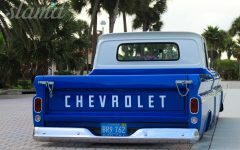 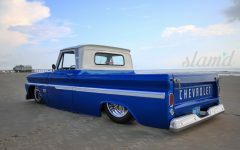 All of this is especially true of the gorgeous C-10 laid out before you, now known as “Ocean’s Blue” for obvious reasons. 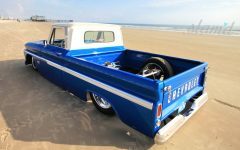 Despite their current trendiness, we know that Steven Bogue built his 1966 for purely personal motivations, and it is definitely one of our favorites to date. 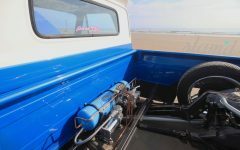 With the help of his best bud, Ron Wagnor, Steven began this particular project in order to check a box off his bucket list as well as pay a special tribute to one of the biggest influences in Steven’s life; his father. 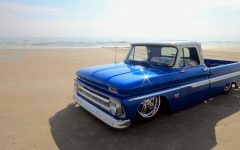 This completed truck serves as a dedication and homage to Steven’s dad, with whom he shared his passion for wrenching. 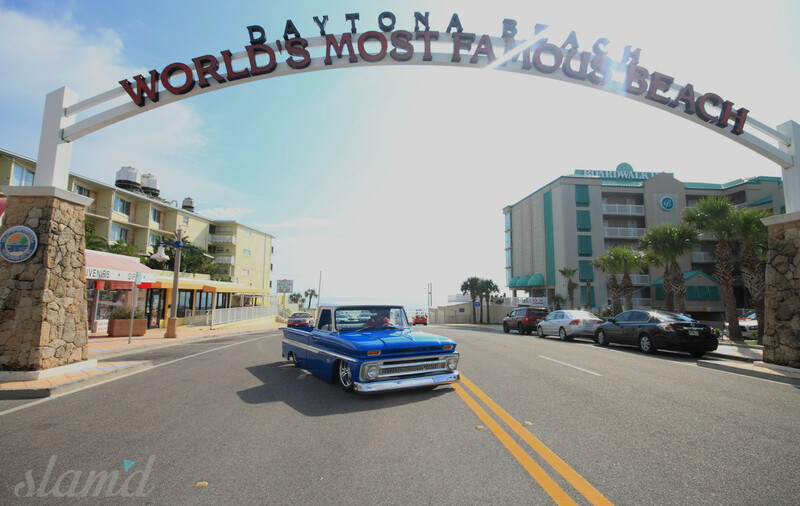 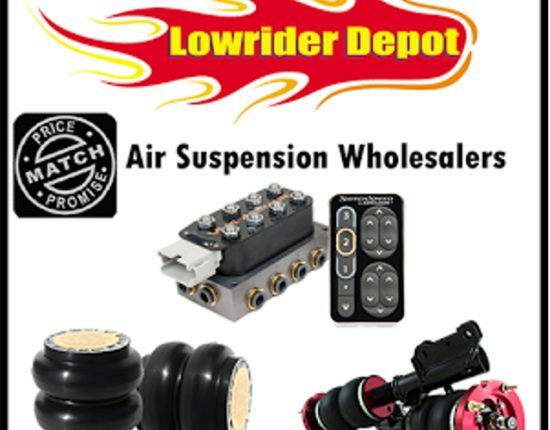 During the initial stages of Steven’s project, the truck lived in Ron Wagner’s garage in Florida. 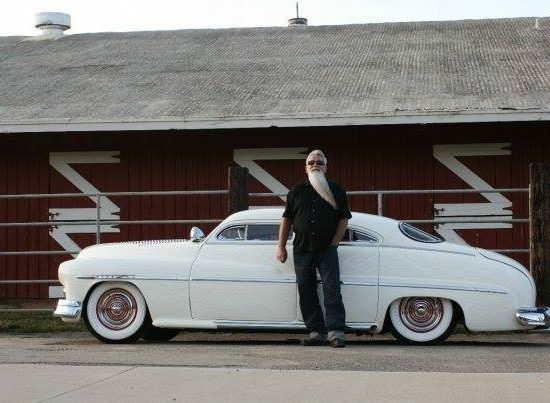 Ron continued to help out during the entire build process, even chipping away at it alone when his partner in crime was occupied at work. 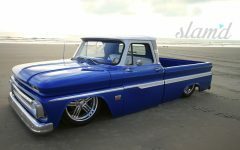 Steven spent every ounce of his free time working with Ron scraping knuckles, greasing elbows, and slaving away on his now-gorgeous ’66. 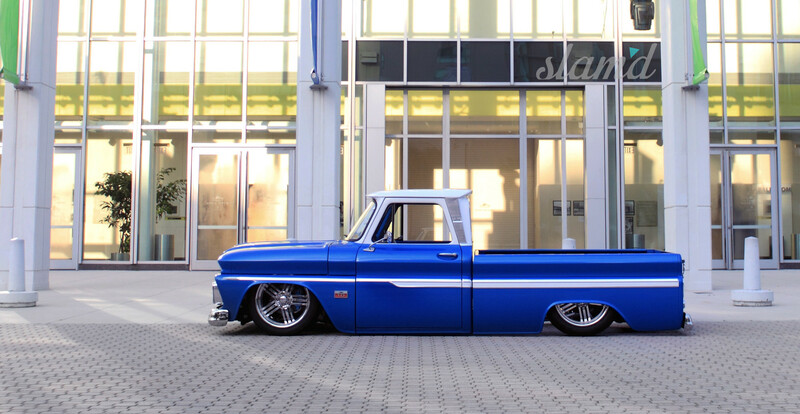 After a couple painstaking weeks, the truck was in one piece and was sitting on ‘bags much closer to the pavement. Steven took a step back to look at the progress and said to himself, “this just isn’t going to work.” Bogue knew to really satisfy his vision, that his truck needed to find its home flat on the ground. 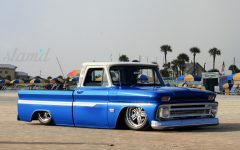 So he decided to head back to the drawing board and establish a process for getting this chevy as low as he could. 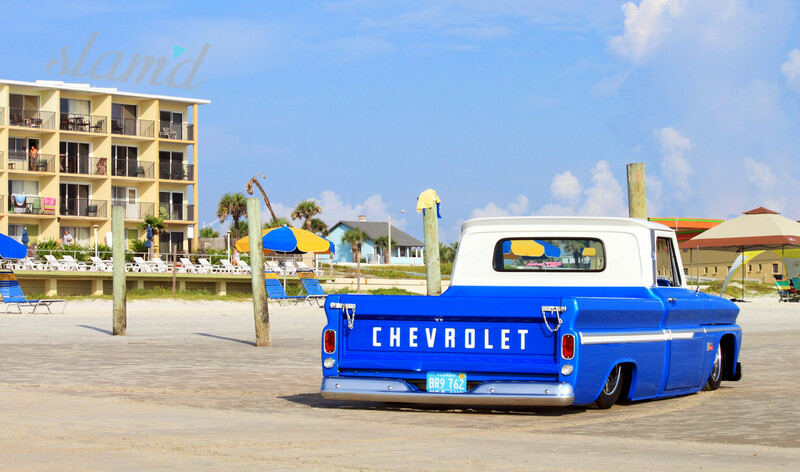 After a good deal of research and the placing of ducks in their proverbial rows, Steven took his wife Trish and their kids on a little road trip. 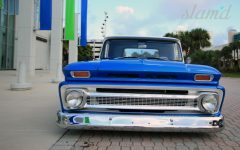 The family made their way to Georgia to purchase another truck, which would serve as an organ donor for his project. 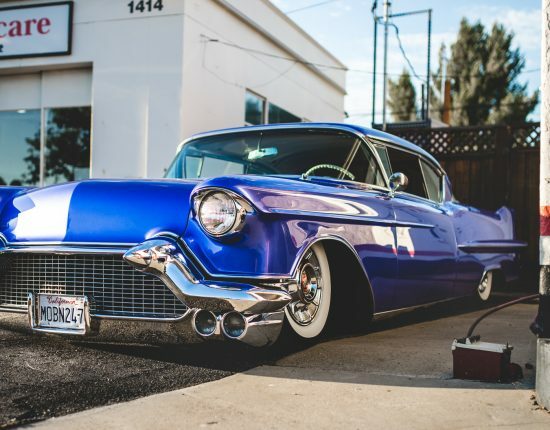 With a more clear vision for his build and a host of spare parts, Steven really sank his teeth into this thing from the ground up. 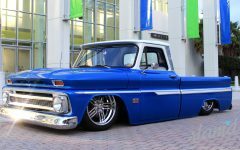 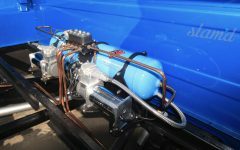 He started by properly addressing the chassis by contacting the C-10 masters at Porterbuilt and turning their parts catalog into his grocery list. 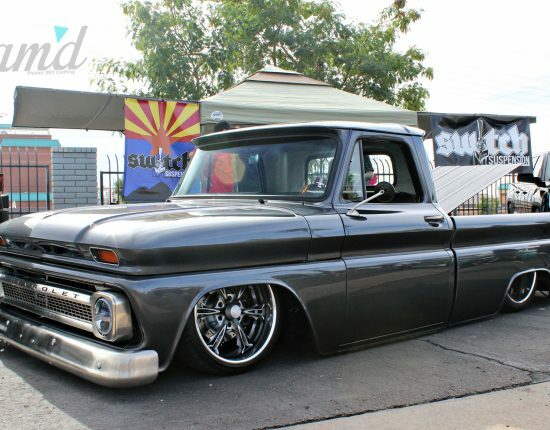 After the chassis was refreshed and able to form a vacuum seal with the ground, Steven shot it with black and silver to clean it all up and give some much needed detail and direction to the build. 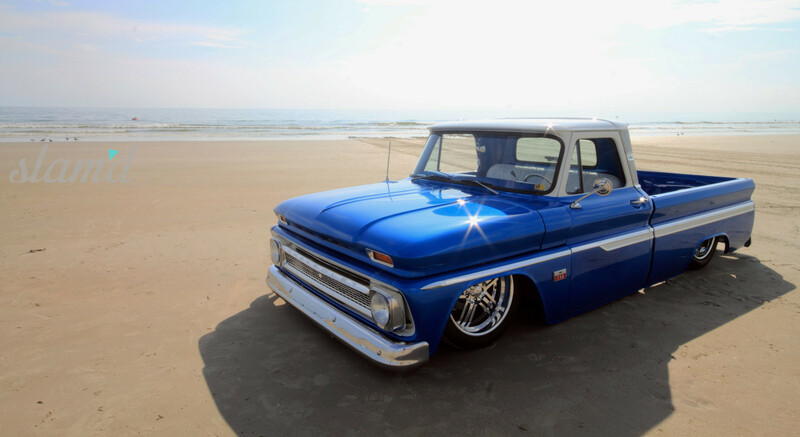 Next up, LMC Trucks was the major score for most of the OE replacement components needed to bring Ocean’s Blue back to life, and Classic Performance Products disc brakes bring her to a halt, on a moments notice. 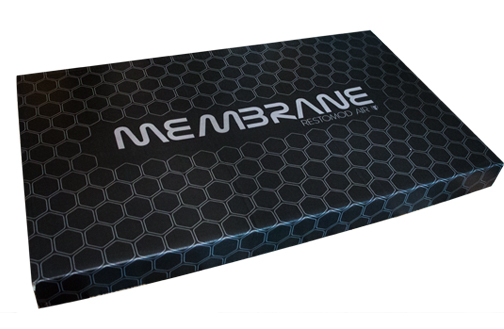 The foundation is finished off by twin Viair compressors which fill the reserve tank, before the air is distributed digitally, via AccuAir management. 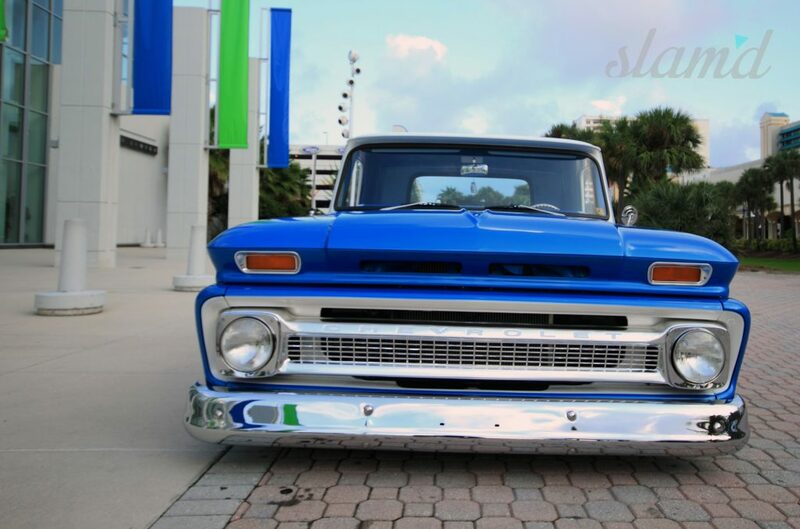 Moving forward, it was time to show a little TLC to the heart of this beast. 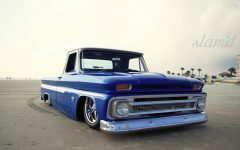 The truck’s small-block 305 was rebuilt and outfitted with some billet bits here and there. 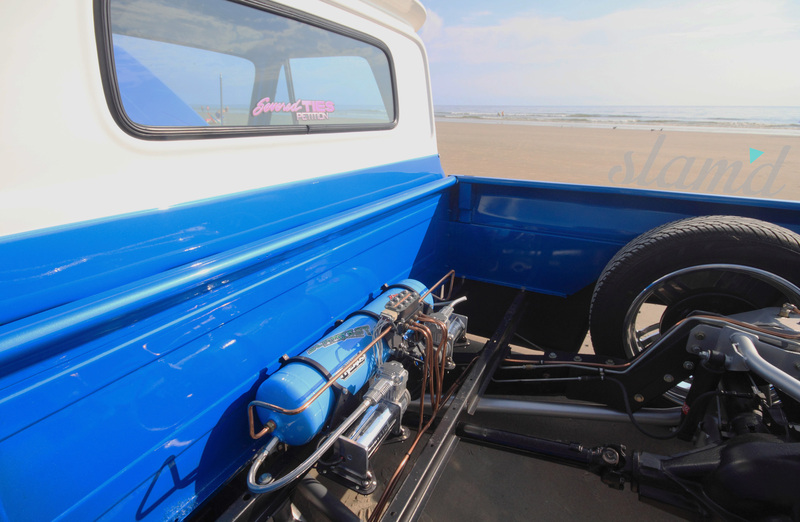 An Edelbrock intake manifold provides uninhabited inhalation, while a full Magnaflow exhaust system allows for the mass expulsion of combusted fuel from the cylinders – lets just say that she breaths quite good now. 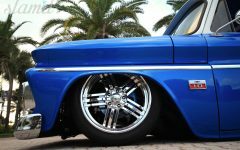 A 700 R4 Transmission directs plenty of twist, moving this cleaned up and painted driveline down the road and the extra chrome brings plenty of aesthetics into the already potent mix. 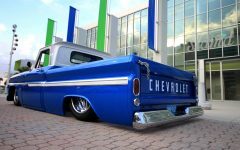 Steven then addressed the exterior of his classic, beginning with some carefully planned out body mods before moving on to paint. 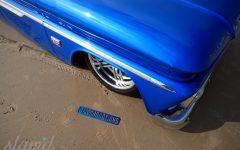 He and Ron deleted the passenger side mirror, as well as the gas neck. 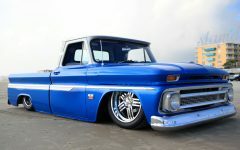 It was important to Steven that they keep the body mods to a minimum, as the original design is already gorgeous from the factory and one of the things his pops would always comment on with these trucks. 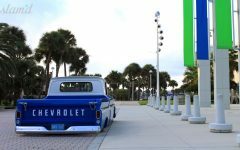 In order to preserve this appreciation, Steven made an expensive (but clearly worth it) decision to replace all the trim and bumpers to restore the factory looks with all new parts. 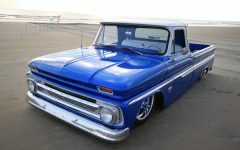 After completing the body work, the truck was absolutely drenched, inside and out, in Nissan SAE Blue Metallic and a dose of GM Olympic White highlights the sections between the trim as well as the cab top, bringing this paint job some next-level class. 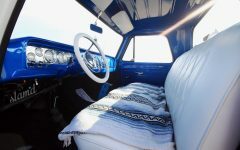 Finally, the interior was spiced up with an all white leather application for the seats and the steering column was swapped out for an updated version from a 1972 C-10. 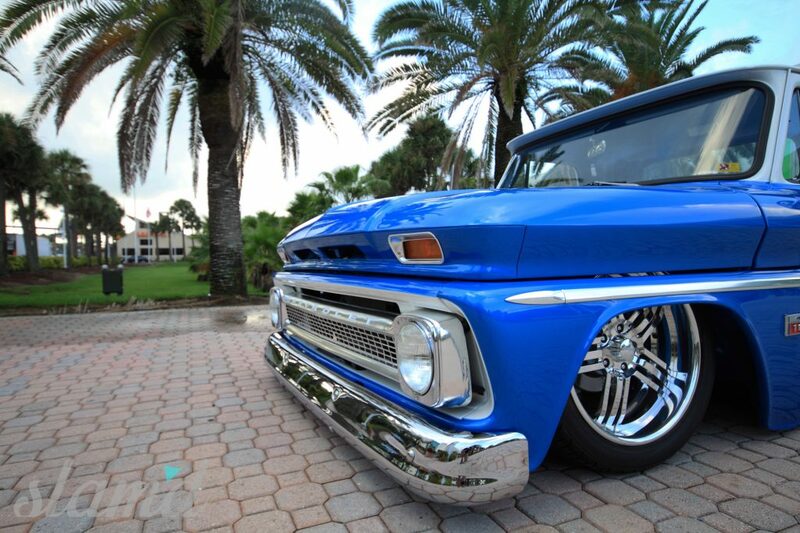 The beautiful billet steering wheel sits in front of a Dolphin billet gauge cluster. 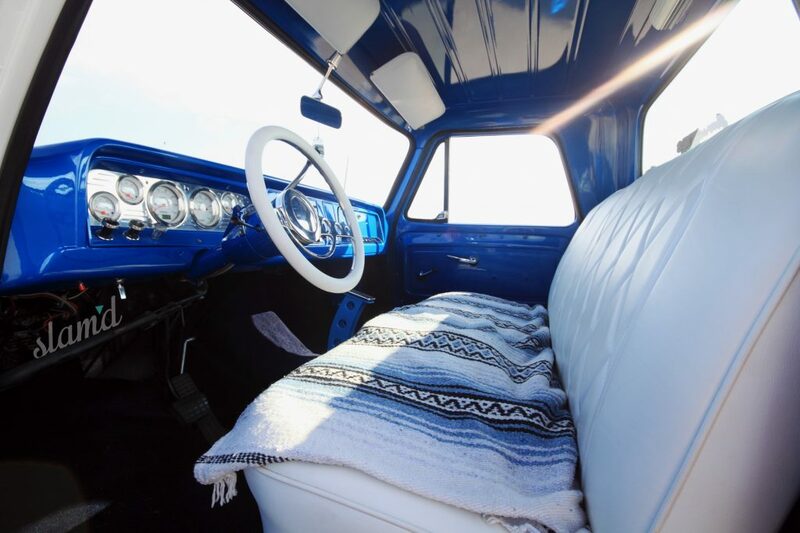 The design approach of the interior is aligned with the rest of the truck build – straight forward, purposely avoiding any over-the-top flash. 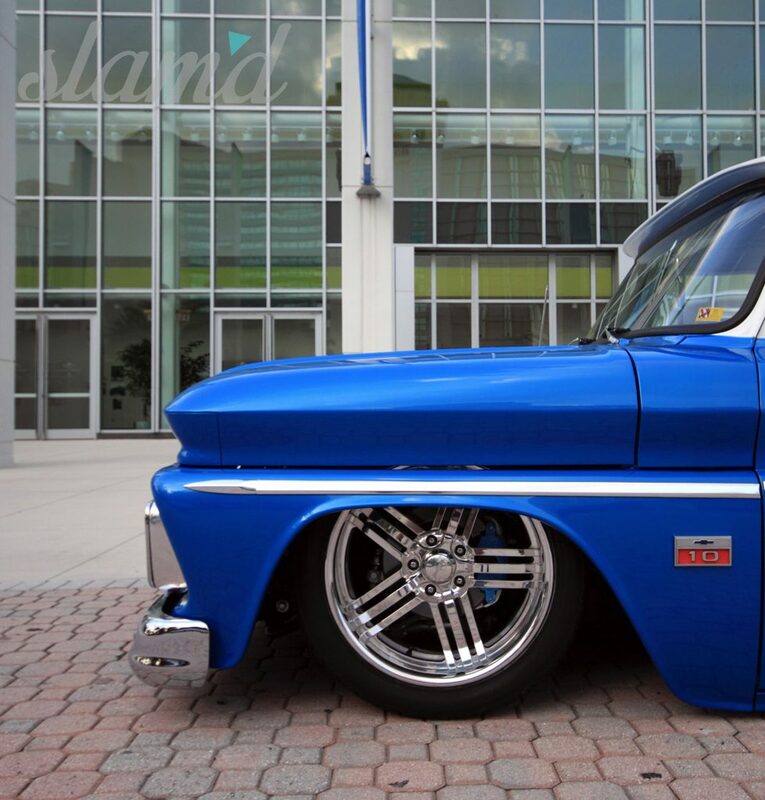 Nevertheless the bleach-clean interior appearance fits this build to a tee and is absolutely stunning throughout. So what does this all mean to you? 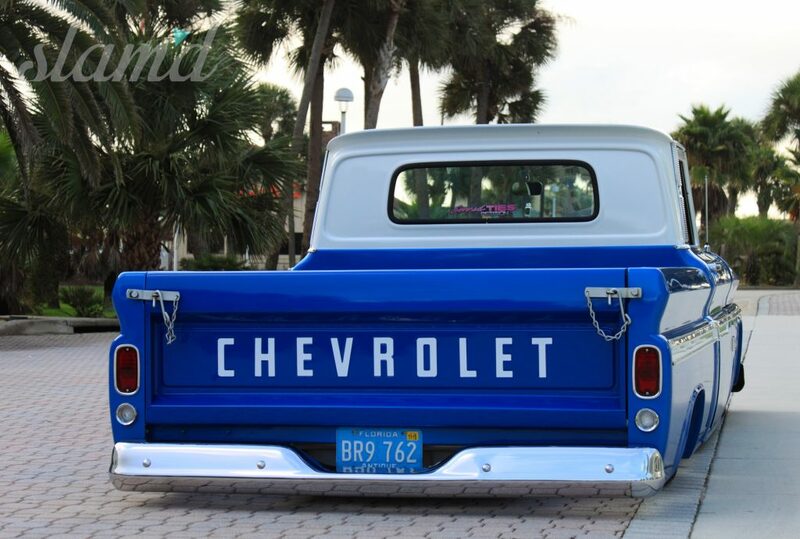 Life is short so we hope that this one will motivate you to break out that bucket list and get to work!